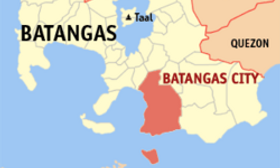 Batangas City is located in the southernmost tip of the province of Batangas. 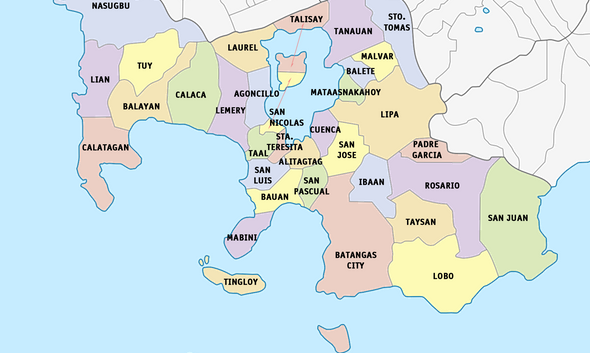 Batangas City is bordered on the West by San Pascual town, on the North by San Jose & Ibaan, on the East by Taysan & Lobo. 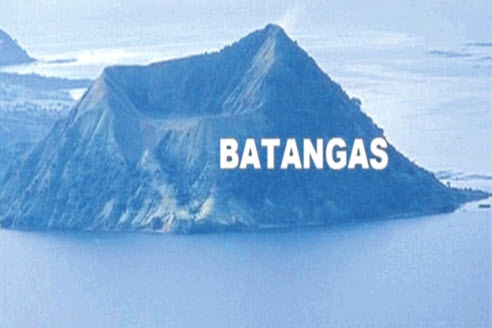 Batangas City is the capital city of the province of Batangas. Batangas City is known as the Industrial Port City of CALABARZON. It is one of the fastest urbanizing cities of the Philippines. Hosting the Batangas International Port, it is the premiere alternative port to the Port of Manila. It is also a stopover for the Nautical Highway going to Boracay & Western Visayas. 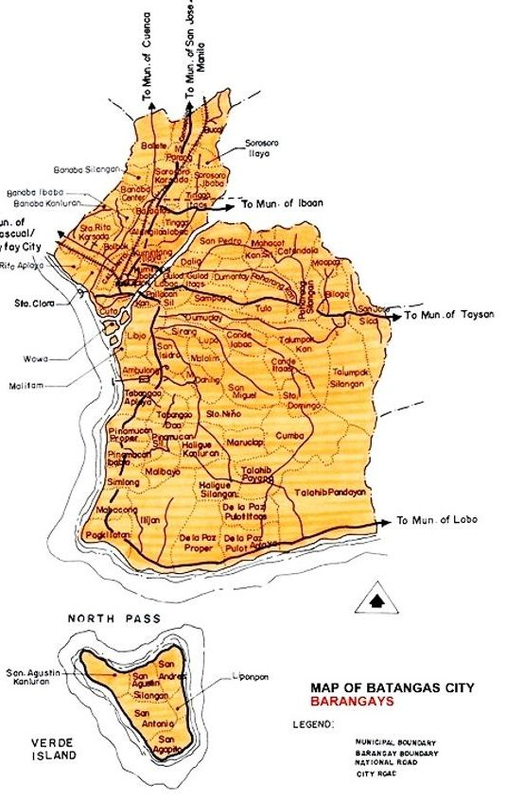 <Google Maps> <Batangas City> Above is the map of Batangas City with barangays. 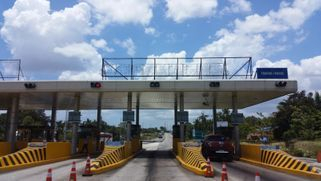 Batangas City is 1.5 hours away from Metro Manila using the STAR Tollway exit. Alabang, Muntinlupa Exit is accessible within 1 hour of driving. Lipa City is within 15-30 minutes travel time. Industrial parks in Laguna/Cavite around SLEX is within 40 mins travel time. Batangas International and domestic port, is the gateway of CALABARZON from the south. International Ships and RORO vessels and Ferries to Mindoro, Tingloy, Romblon, and even Palawan, uses Batangas Port. 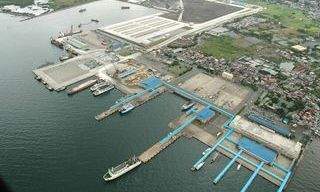 Batangas City International Port was declared a national port in 1956, and has now become an international port, serving to decongest the traffic in the Port of Manila. Batangas City hosts a lot of other industries such as the Shell Malampaya Facilities, JG Summit PetroChemical Plant, Sta Rita Power Plant, and many more.